BurnAware Free is a CD, DVD, Blu-ray Disc burning software, for users with basic disc burning needs (backup, creating data, audio, MP3 music, DVD-Video discs, burning disc images). Features: Create data, bootable and multisession CD/DVD/Blu-ray Discs; Create Audio CDs and MP3 CD/DVD/Blu-ray Discs; Create DVD-Video; Record boot disc images; Create and record disc images; Supports all current hardware interfaces (IDE/SCSI/USB/1394/SATA); Supports UDF/ISO9660/Joliet Bridged file systems (any combination); On-the-fly writing for all image types (no staging to hard drive first); Auto-verification of written files; Supports CD-Text and unicode characters. InfraRecorder somehow resembles the well known Nero recorder, and it offers lots of options most probably covering your needs completely, without being difficult to use. Above all, it is a reliable application that won’t disappoint you by creating faulty disks. DVD Styler will help you create professional-looking DVDs. It allows not only burning of video files on DVD that can be played practically on any standalone DVD player, but also creation of individually designed DVD menus. Features: Creation and burning DVD video with interactive menus; support of AVI, MOV, MP4, MPEG, OGG, WMV and other file formats; support of MPEG-2, MPEG-4, DivX, Xvid, MP2, MP3, AC-3 and other audio and video formats; support of multi-core processor; allows using MPEG and VOB files without reencoding; allows to put files with different audio/video format on the same DVD (support of titleset); user-friendly interface with support of drag & drop; Flexible menu creation on the basis of scalable vector graphic; import of image file for background; placing of buttons, text, images and other graphic objects anywhere on the menu screen; changing the font/color and other parameters of buttons and graphic objects; scaling of buttons and graphic objects; coping of any menu object or whole menu; dvd scripting. 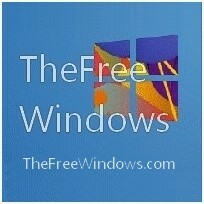 Freeware to turn video files to DVD includes Free Movie DVD Maker, FAVC and DVD Flick. Freemake Video Converter will help you convert between video formats, rip DVD, convert to devices, burn DVD, create photo slideshows and music visualizations, cut, join, rotate and upload video, photos, music to YouTube. It imports videos from video cams (avi, mpg, tod, mov, dv, rm), mobile phones (3gp, 3g2, 3gp2), Internet (flv, swf, mp4) & PC (wmv, mkv, qt, ts, mts). Add music, DVD and photos. Features: Conversion to iPod, iPhone, iPad, PSP, Xbox, Blackberry * Rip DVD – Conversion to AVI, WMV, MP4, 3GP, DVD, MP3 * Convert videos to the most popular video formats. Еxtract audio from video clips & DVD. Convert audio files of different formats to MP3 * YouTube Publishing – Upload AVI, WMV, MP4, 3GP, JPG, BMP, GIF, MP3 to YouTube. The program will help you cut videos (if required) into 15-minute parts and insert them into one YouTube playlist. * Burn DVD – Up to 20 hours of movies to a standard DVD disc. Apply different DVD menu types. * Photo slideshow Creation – with background music. Upload your slideshows to YouTube. * Video Editing – Cut unwanted parts from video files. Flip or rotate video. Join several videos into one file to get a full-length film. Freemake Video Converter is reliable and easy to use. Unfortunately the program does not support non-latin characters in subtitles when you create a dvd, unless the code page of your PC is in the same non-latin language — and it won’t use any of the subtitles included in a DVD when you rip it. AVStoDVD will let you convert various media formats to DVD compliant streams and burn them into a highly compatible multiple tracks DVD with customizable menus. Features: Video and Audio editing using AviSynth * Video encoding using QuEnc/HCEnc/ReJig/FFmpeg * Audio encoding using QuEnc/FFmpeg/Wavi/Aften * Subtitles encoding using SubtitlesCreator * DVD Authoring using MuxMan/BatchMux * ISO Image Building and DVD Burning using ImgBurn * Internal DVD Menu Editor with customizable menus. ImgBurn supports BIN, CUE, DI, DVD, GI, IMG, ISO, MDS, NRG and PDI image formats. It can burn Audio CD’s from any file type supported via DirectShow / ACM – including AAC, APE, FLAC, M4A, MP3, MP4, MPC, OGG, PCM, WAV, WMA and WV. It will even let you load your audio files from a playlist, if you drag and drop your playlist in the selection pane, something that most dedicated-to-audio free CD burners don’t support. Here is also a guide on how to burn Audio CDs with ImgBurn. You can use ImgBurn to build DVD Video discs (from a VIDEO_TS folder), HD DVD Video discs (from a HVDVD_TS folder) and Blu-ray Video discs (from a BDAV / BDMV folder) with ease. ΙmgBurn supports Unicode folder/file names. There is an image queue system for burning several images (which you can automatically share between multiple drives if you have more than one) and an easy-to-use layer break selection screen for double layer DVD Video jobs. The Automatic Write Speed feature allows you to store your favorite burn speed settings on a per ‘Media ID’ basis, right down to a drive by drive level. UnderCoverXP will help you to print CD and DVD covers. It supports JPEG, GIF, PNG and BMP formats and can automatically scale front covers, back covers, front + inside, inlays, DVD Boxes, Digital Pictures and CD/DVD labels to the correct sizes. UnderCoverXP is not an editor; you have to create your covers with other programs and then print them with it. Useful especially when you need to print downloadable covers for official disks. CDBurnerXP records CDs and DVDs, including Blu-Ray and HD-DVDs. It also burns and creates ISOs. Features at a glance: burn all kinds of discs; audio-CDs with or without gaps between tracks; burn and create ISO files; data verification after burning process; create bootable discs; multi-language interface; bin/nrg > ISO converter, simple cover printing, and more. DVD Flick will let you take a number of video files stored on your computer and turn them into a DVD that will play back on your DVD player, Media Center or Home Cinema Set. You can add additional audio tracks, subtitles as well as a menu for easier navigation. DVD Slim will let you create covers for CDs, DVDs, VHS, PS1, PS2, PS3, PSP, Xbox, Nintendo Wii, BlueRay and more storage media. IFOEdit will let you parse VOB files, remove or add video, audio, subtitle streams to VOB files, create new IFO files, create DVD images and burn DVD-Rs. To burn a video (vob) file to play your movie in your DVD player, run IFOedit.exe and click the “Create IFOs” button. Select your VOB file from your hard disk and click OK to create a new IFO.